Bhutan, shrouded behind the mystical aura is the last Himalayan Kingdom. There are many places to visit in Bhutan. 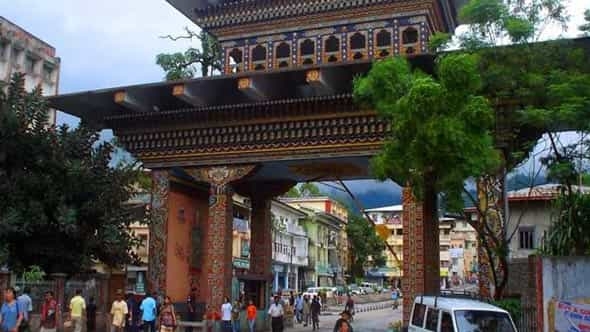 In our Bhutan Holidays 4 Nights and 5 Days Bhutan Tour Package we will be taking you to an extraordinary journey of exploring the capital city of Thimphu and ancient town of Paro. Get the zest of indigenous culture of Bhutan during your Bhutan Holidays in the Southern Bhutanese Border Town of Phuentsholing. Next you will drive towards Thimphu, the capital city of Bhutan. Here you will visit the grandiose Trashichhoe Dzong, National Textile Museum, Memorial Chorten and witness the tallest statue of Sakyamuni Buddha above Kuensal Phodrang Nature Park. Later you will proceed towards Paro. This regal town is best known for the Cliffside Monastery Taktsang. 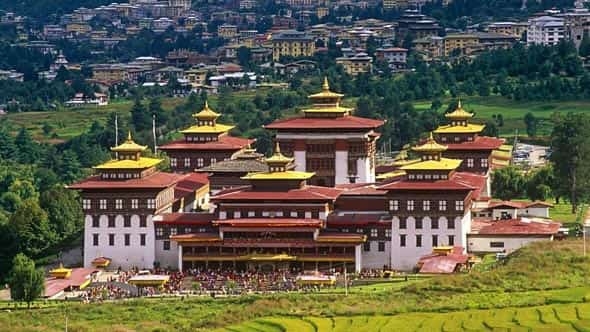 All the destination and activities in our 4 Nights 5 Days Bhutan holiday Tour Package are carefully selected by Bhutan Holidays expert to let you get the best of Bhutan in 5 Days. On arrival at Hasimara you will be greeted by our officials and then transferred to your hotel in Phuentsholing/Jaigaon. Phuentsholing is a border town of southern Bhutan and Jaigaon is a border town of West Bengal, India situated just beside Phuentsholing. From Hasimara it is an overall 1hr journey to reach Phuentsholing/Jaigaon. Marking the province of Bhutan Region, the prominent attractions of Phuentsholing is the crocodile breeding centre of Amo Chhu and Bhutan Gate. Check into your hotel and freshen up. After making the Inner Line Permit you are free for the rest of the evening. Overnight Stay in Phuentsholing. Bhutan Tour Package Special Tips - About Phuentsholing: Amo Chhu crocodile breeding centre was built in 1976. It started with only twelve crocodiles. Now Amo Chhu crocodile breeding also has been helping in the rising of tourism of Phuentsholing. Here tourists will find two species of crocodile, Gharials and Muggers. Both these species are listed under the list of critically endangered species by IUCN. After an early morning breakfast, checkout from your hotel and start your 5-6hrs drive to your hotel in Thimphu. 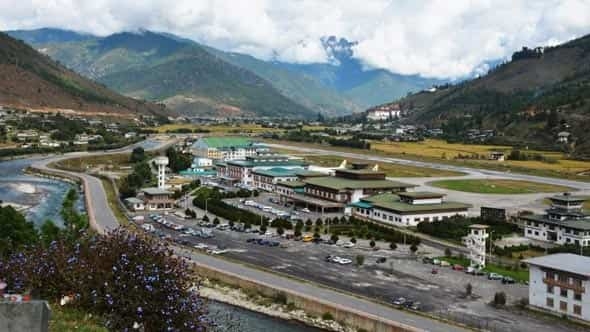 The capital city Thimphu is the only city of Bhutan which showcases the impeccable blend of past and present in its astounding architecture. 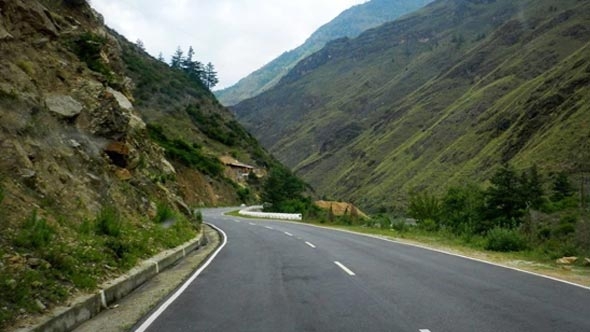 The road leading towards Thimphu are carved on the rugged terrain through daunting hill. These roads are known for the pictorial landscape of dense conifer trees and scenic valley. Have lunch on the way to Thimphu. Check into your hotel and freshen up. In the evening you are free to rest in your hotel or you can take a stroll in the market area of Thimphu to taste the local Bhutanese delicacies. Overnight stay at Thimphu. Wake up early and after breakfast, start your excursion in Thimphu. The first place in your list is the Memorial Chorten. Built to commemorate the memory of 3rd Drukpa Gyalpo, Memorial Chorten is situated in the heart of Thimphu. You will find many devotees near the chorten who comes to enjoy the serene ambiance. Next we will drive you to Mothitang Takin Preserve. The preserve is the home of Takin, national animal of Bhutan. Morning is the best to time to visit the preserve as Takin comes near the fences to eat their food. The unique animal has hyped the interest of many animal lovers. Near Takin Preserve there is the BBS Tower from where you will get a panoramic vista of Thimphu City. Next we will proceed to National Textile Museum. Here you can learn to wear Gho and Kera while finding out the difference between royal dress and ordinary dress. After lunch we will drive to the famous Thimphu Dzong. 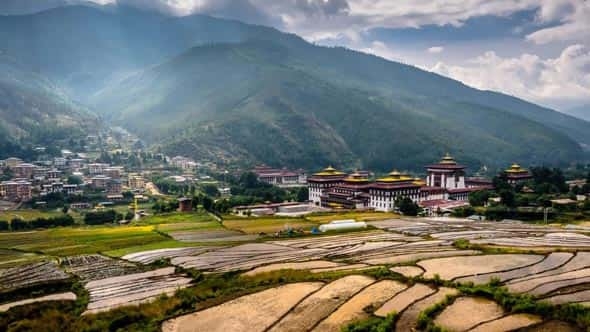 Located along the river banks of Wang Chhu, Thimphu Dzong also known as Trashichhoe Dzong with its grandiose architecture and ancient artefacts has become a place which shouldn't be missed. After adorning the colourful Thangkhas and painting proceed to Kuensal Phodrang Nature Park to witness the magnificent statue of Sakyamuni Buddha. Also known as Buddha Dordenma, the Buddha View Point has become the iconic landmark of Thimphu. The evening view of Thimphu Valley from Buddha view point has ensnared the mind of many travellers. Return to your hotel after watching the breathtaking view of Thimphu Valley. Overnight stay at Thimphu. Bhutan Tour Package Special Tips- About Takin: Takin is a unique animal. Takin's head resembles with a mountain goat and body of a cow. Takin was declared national animal of Bhutan on 25thNovember 2005. The legend behind this is an interesting one. In 15th century a Tibetan saint Drukpa Kunley popularly recognized as "The Divine Madman" is credited in creating this mystical animal. The Divine Madman was not only a religious preachers but he was also a proficient tantric. As per the legend, few Bhutanese people requested Drukpa Kunley during one of his religious lecture to do a miracle before them. The Divine Madman agreed to do so provided he was fed for the lunch a whole cow and a whole goat. Once the lunch was served, he devoured both the animals leaving only the bones. It is said then The Divine Madman took the head of the goat and fixed it in the skeleton of cow while uttering some mantra and right before the eyes of the bystander the mystical animal Takin was created. Till date Takin resides the hill side of Bhutan. Due to this magical creation with high religious connotation, Takin has been adopted as the national animal of Bhutan. After an early morning breakfast, checkout from your hotel, and proceed to Paro. The journey between Thimphu to Paro will take approx 2 hrs. Situated on the river banks of Mo Chhu and Pa Chhu, Paro is a scenically blessed town of Bhutan with many historical significant sites. After checking into your hotel, freshen up, and gear up for your sightseeing in Paro. Taktsang Monastery is the most prominent attraction of Paro. It is a monastery built on the cliff. It takes two hour trek to reach Taktsang Monastery. You can either trek or ride on a pony. From Taktsang Monastery you will get the most outstanding view of Paro valley. Next we will take you to National Museum of Bhutan which is located in the Conch shaped building of Ta Dzong. Here, you can observe artefacts dating back to 2nd century and get an insight about the early Bhutanese era. After lunch we will drive you to Paro Dzong. Known as the Fortress on a Heap of Jewel, Paro Dzong is listed under the tentative sites of UNESCO. You can only walk in the courtyard of the Dzong since the main sanctum housing the Thondrol of Guru Rinpoche only opens during the annual Tsechu. After admiring the beauty of the purple jacaranda trees and shimmering water of Po Chhu and Mo Chhu return to your hotel. Overnight stay at Paro. After an early morning breakfast, checkout from your hotel and proceed to Hasimara. It is an overall 6 hrs journey from Paro Bhutan to reach Hasimara. Relish the beauty of the astounding landscape of Paro while bidding farewell to the mystical land of Bhutan. After covering an approx distance of 179 km you will reach Hasimara Railway Station and your 4 Nights and 5 Days Bhutan Tour Package will come to an end.